You will recognise the various musical instruments as they join in, and understand about their contribution. How I wish that I had been there to witness this performance. 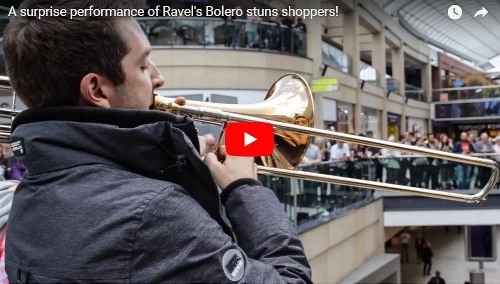 What an excellent "impromptu" performance, I wish they would come and repeat that performance in my local shopping centre.